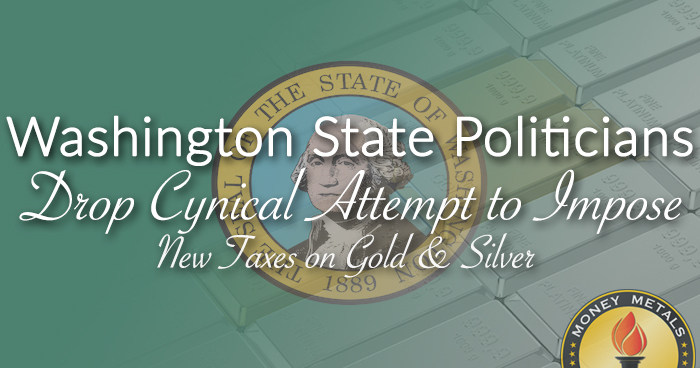 Efforts in Washington State to impose sales tax on gold and silver were SHUT DOWN today thanks to intense efforts by the Sound Money Defense League, a group of in-state coin dealers led by Dan Duncan of Pinnacle Rarities, and a large number of vocal grassroots supporters. 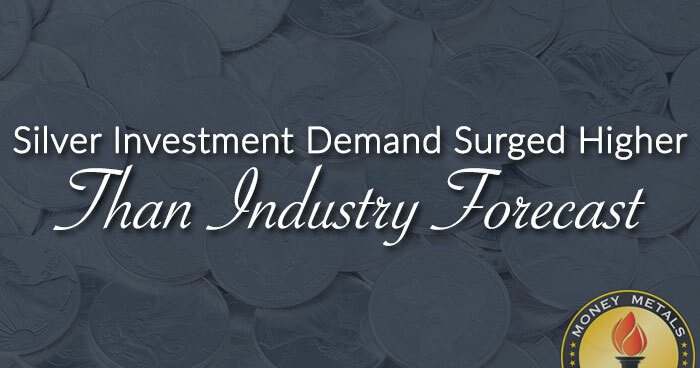 According to the recently released 2019 World Silver Survey, silver investment demand was significantly higher than analysts forecasted. How much higher? 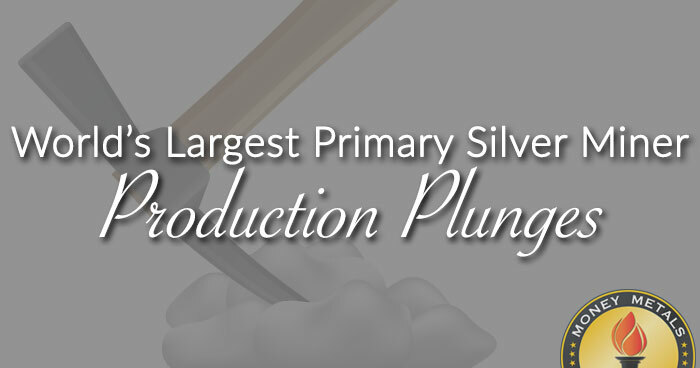 A lot, especially since the analysts stated that silver coin and bar purchases were expected to contract due to falling demand globally. The Royal Mint has been continuously minting British coinage for more than 1,000 years. The mint was moved to the Tower of London in the late thirteenth century, and operated there for five centuries. In 1812 The Royal Mint moved from the Tower to new premises on London’s Tower Hill. Finally, in 1967 the construction of a new Royal Mint began in its current location in South Wales, UK. 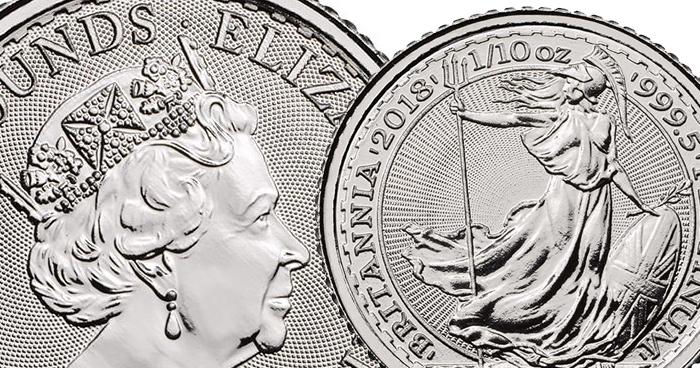 The Royal Mint has a long and storied history and is always respected, but innovation keeps it at the forefront of the world when it comes to minting. The Mint employs the latest equipment, technology and methods to deliver beautiful, well crafted coins with fine detail. The combination of rich tradition and innovation have made Royal Mint coins recognized throughout the world for their quality. 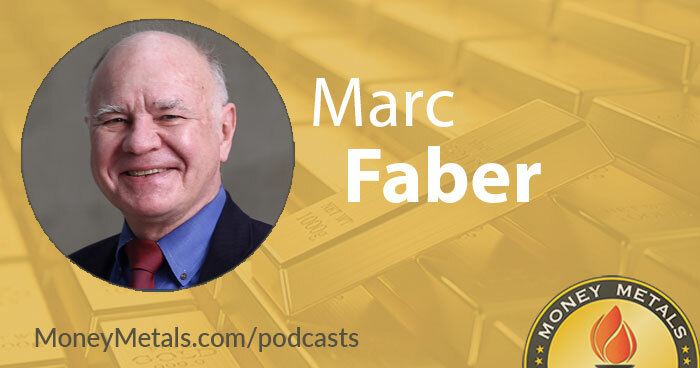 April 15, 2019 -- Gold flat-lined again while silver prices dropped a bit late in last week’s trading. 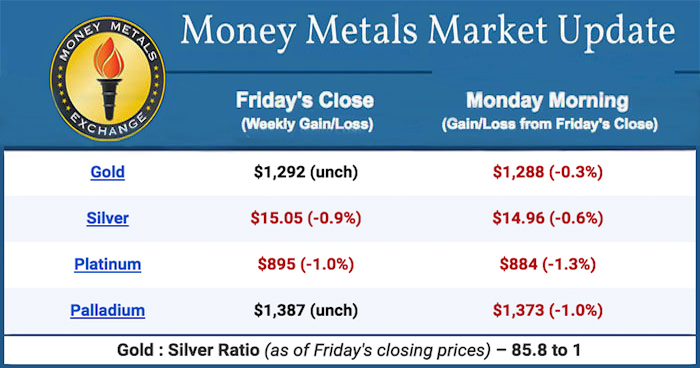 Investors’ "risk on" sentiment continues to be the challenge for metals as the equity markets keep moving higher. Another round of rumors of an impending deal with China on trade helped push stock prices higher. If a deal is reached, it may wind up being a "sell the news" event given how much optimism over trade has already contributed to equity prices. If a deal is not reached, we’ll find out how much longer markets continue responding to rumors. The Wall Street Journal published an article Sunday which mirrors our own puzzlement about what is driving the rally in financial markets everywhere. The headline is "Global Stock Rally Defies Dimming Economic Outlook." Signs portending a slowdown in the economy are growing, but that isn’t reflected in equity prices. 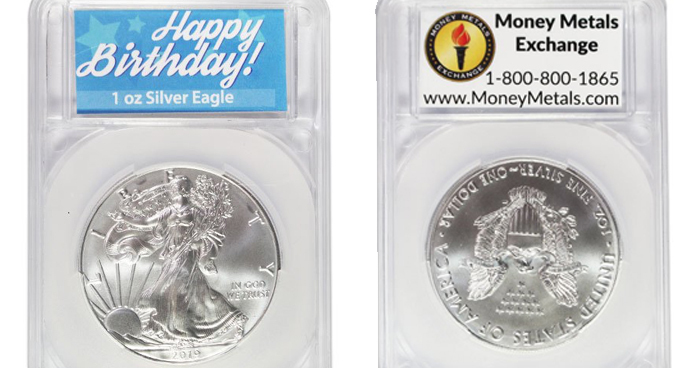 The American Eagle silver coins are known as the most popular silver bullion coins in the world - a testament to their beautiful design. One of the world's most adorable creatures. The species is native to China's interior mountains and relies heavily on bamboo as a food source. The reverse features an image of the Temple of Heaven which has stood in Beijing for more than 500 years. 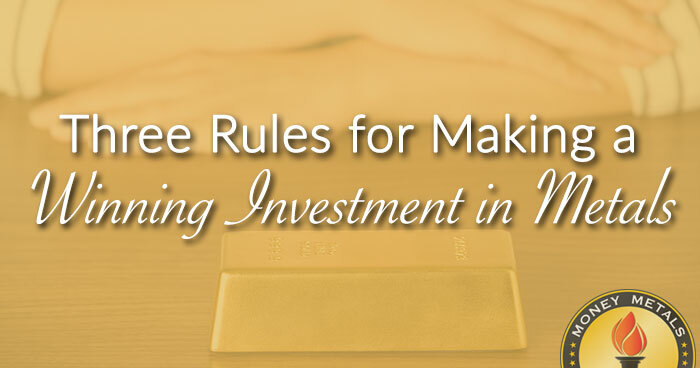 Each gold coin contains 1 Gram (.03215 ozt) of .999 gold. 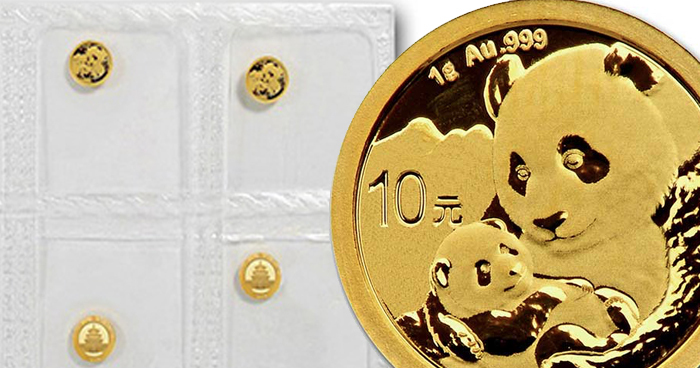 China first issued gold pandas in 1982. 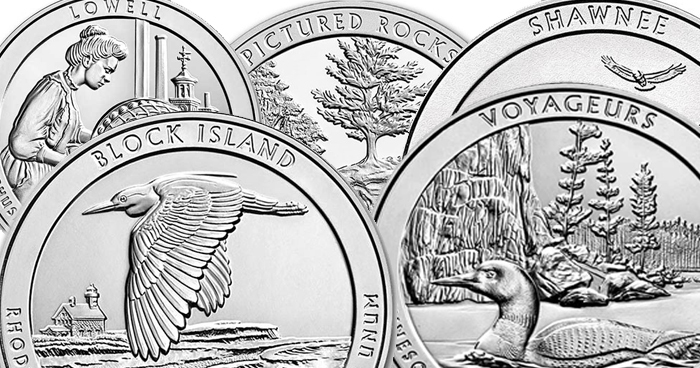 The coins were originally produced in troy ounce sizes (1/10, 1/4,1/2 and 1 oz), but production was switched to metric units in 2016. The panda design changes from year to year. The coins we ship will be random in design, subject to inventory and availability.